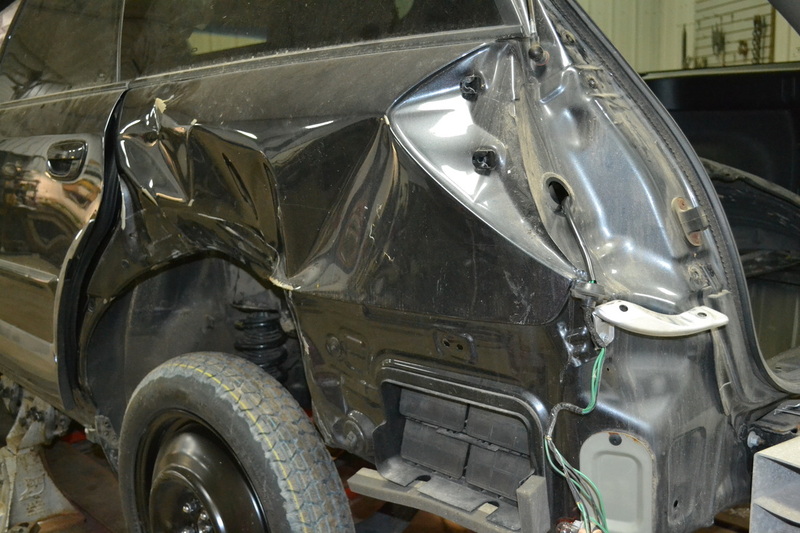 Part of the challenge of acquiring this smashed-up 'salvage titled' vehicle is, what to buy? 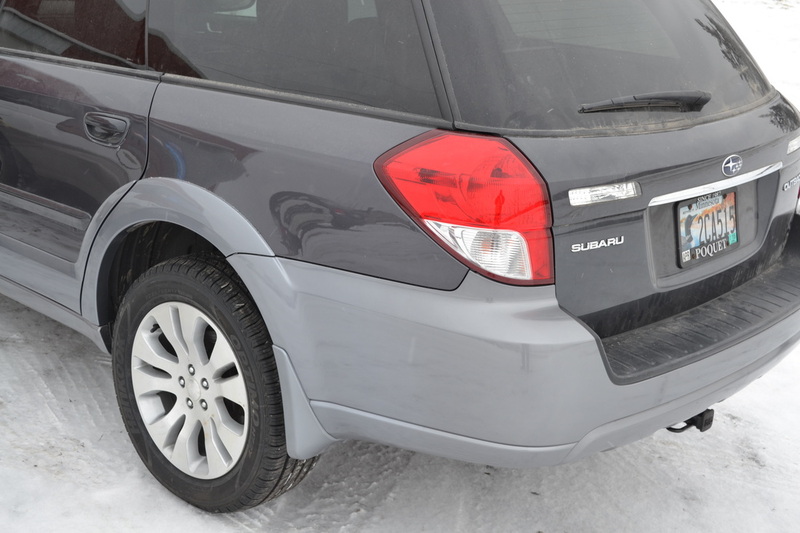 When we did find a Subaru Outback, which model is it, exactly? A site on the internet(s) that answers most of these questions is http://www.cars101.com. This is a site put up by Joe Spitz. Joe works for a Subaru dealer in the Pacific Northwest, and this website is his answer to Everything You Wanted To Know About Subarus, But Were Afraid To Ask. There are volumes of archival data on this website that are not available anywhere else, at least not in such a convenient collection. 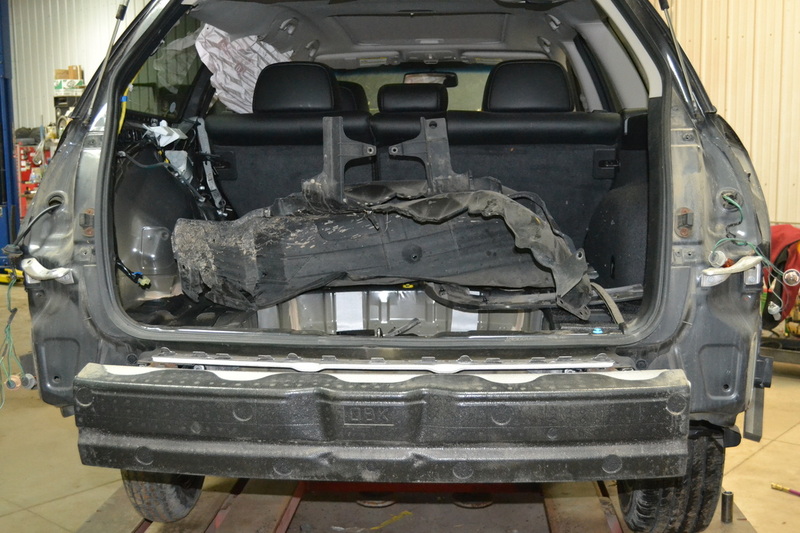 After removal of the rear bumper and lighting. 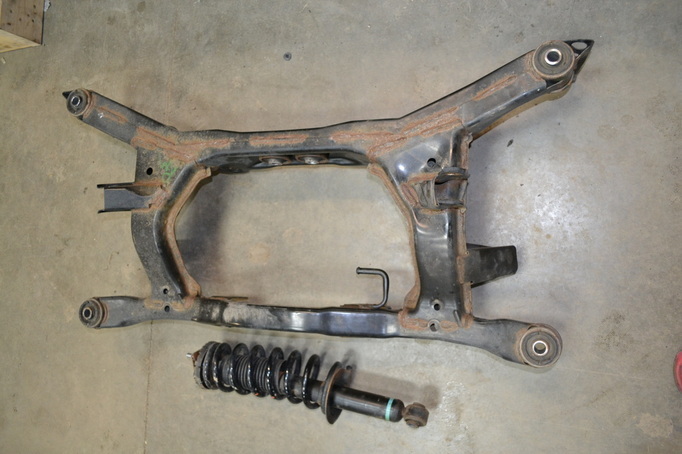 Bent suspension components are replaced. Even though this monocoque frame was only out less than 1/4", time on the frame rack was mandatory. 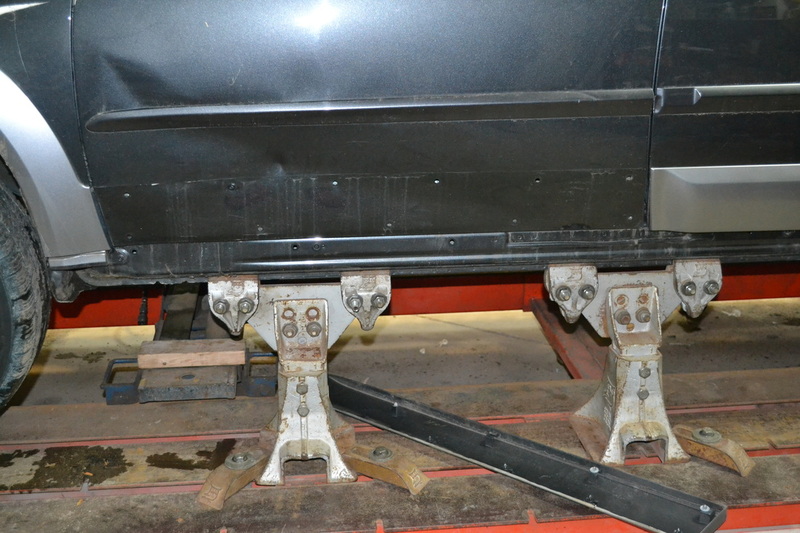 This pulls the frame to the manufacturer's original specifications. 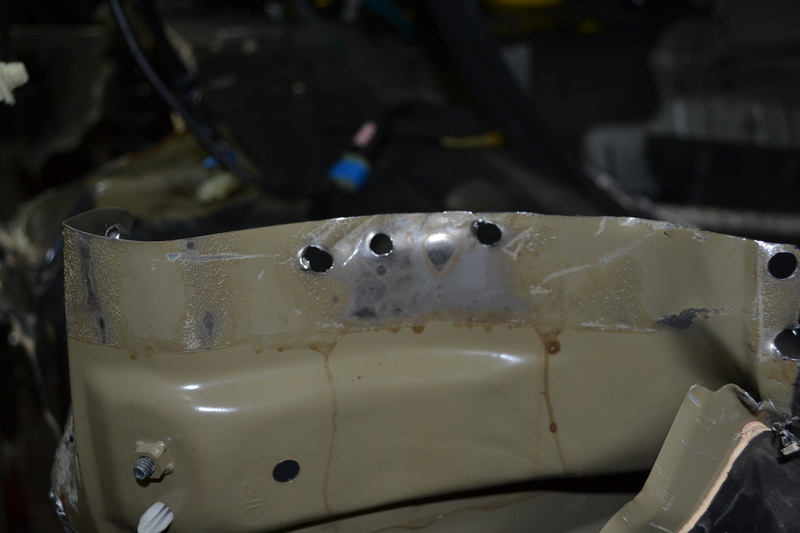 The entire left quarter panel removed, replacement component to follow. They say that those who like their laws and sausages should watch neither being made. This is the auto body equivalent, lots going on here. Note the blue beam athwartships under the vehicle; that is the laser beam used to ensure that the frame, once straightened, is precisely square, and to the manufacturer's specifications. 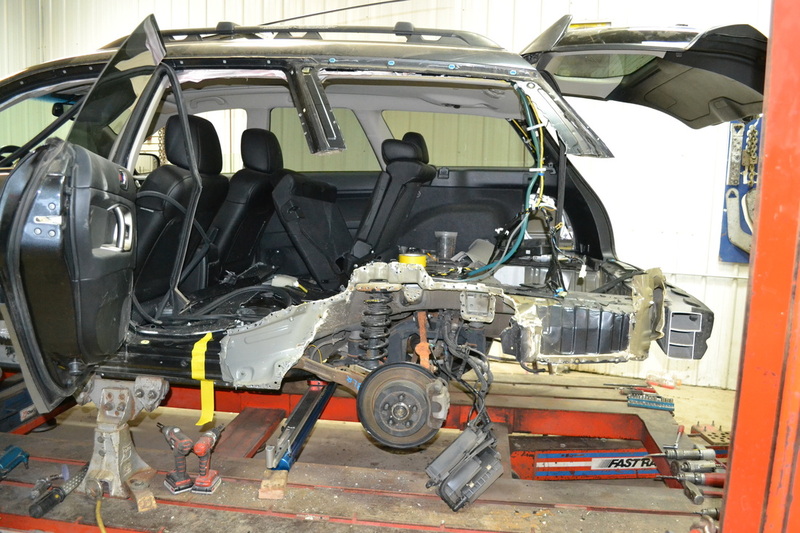 Note where the roof pillars are severed, ready to receive the 'new' quarter panel. 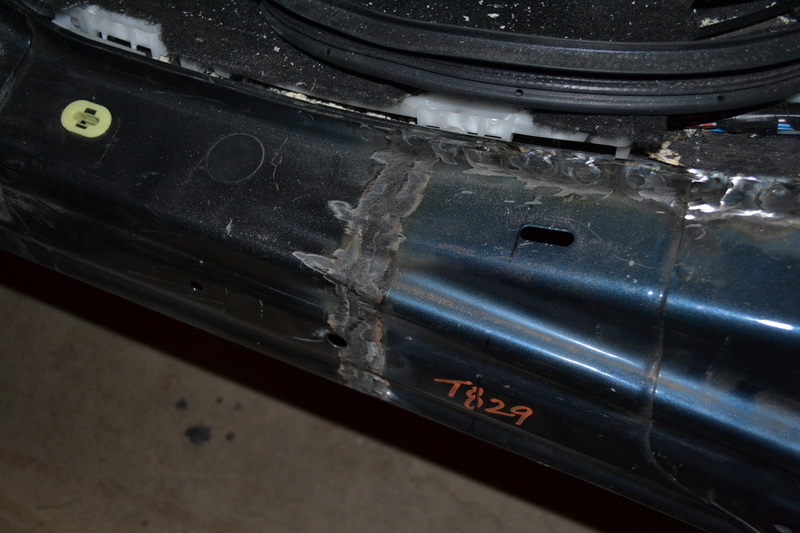 Also note where the running board changeover is at the yellow tape, on the bottom of the passenger door. Tools of the trade: impact wrench, air nut driver, BFH hammer, air drill, air wire wheel, air chisel, torque wrench, six-point sockets, and off to the right, a Milwaukee Sawzall. 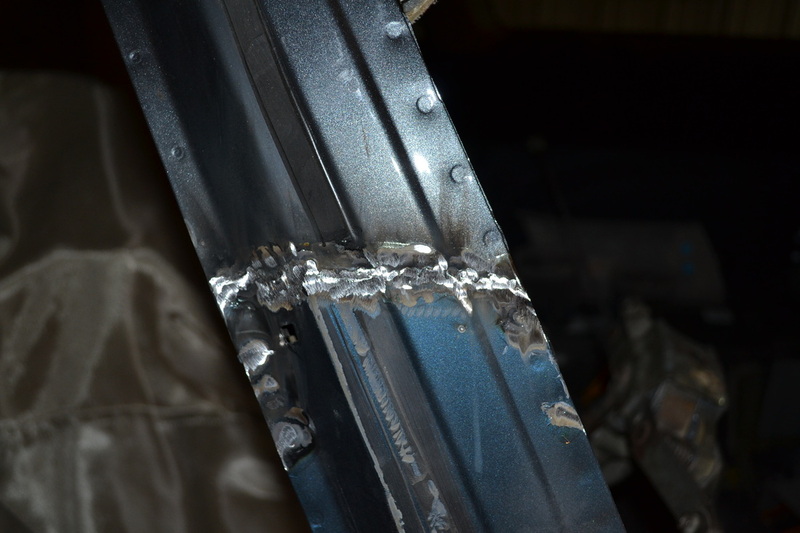 Detail showing how spot welds are drilled out to facilitate removal of the old quarter panel. 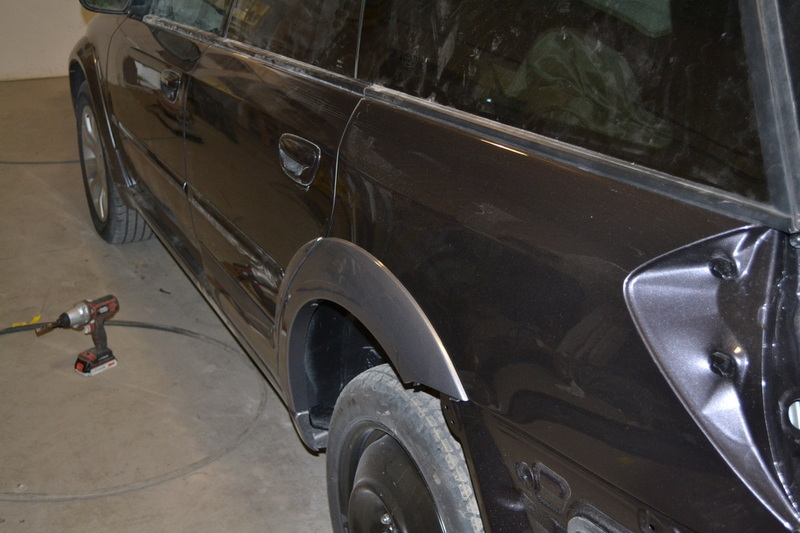 Rear bumper and lighting systems removed. Note the deployed air bag at upper left. 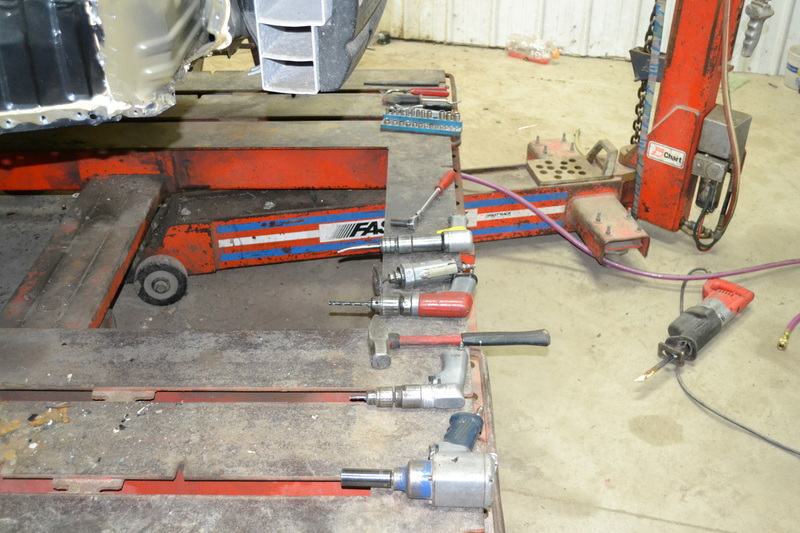 Easy to replace the left muffler during reassembly. Detail showing the merging of the roof support pillars, new to old. 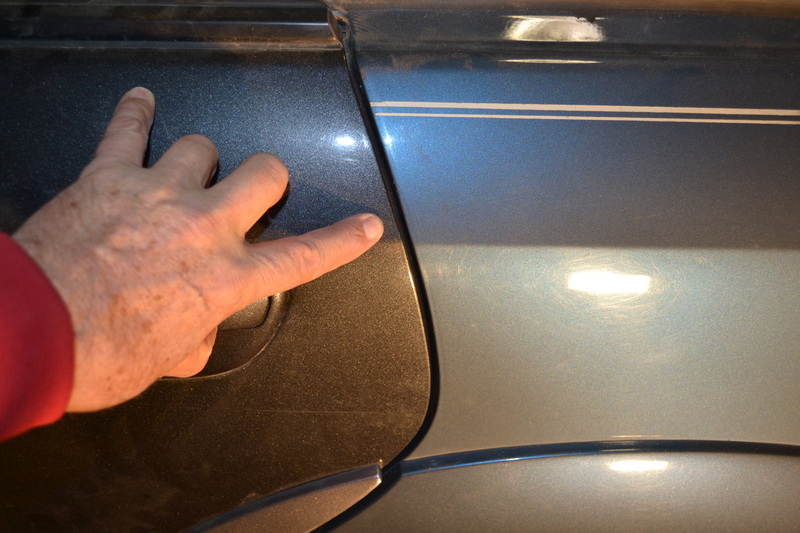 Marrying the 'new' running board to the original. 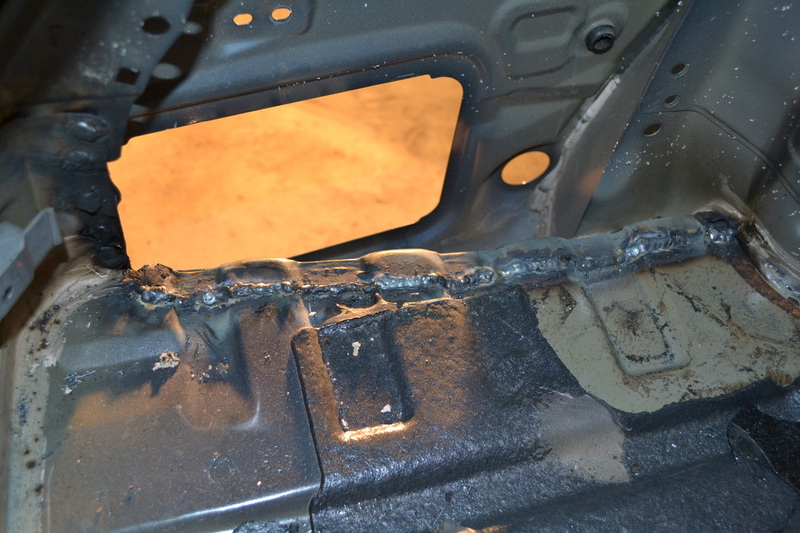 Interior detail of the weldment of new quarter panel to original frame. 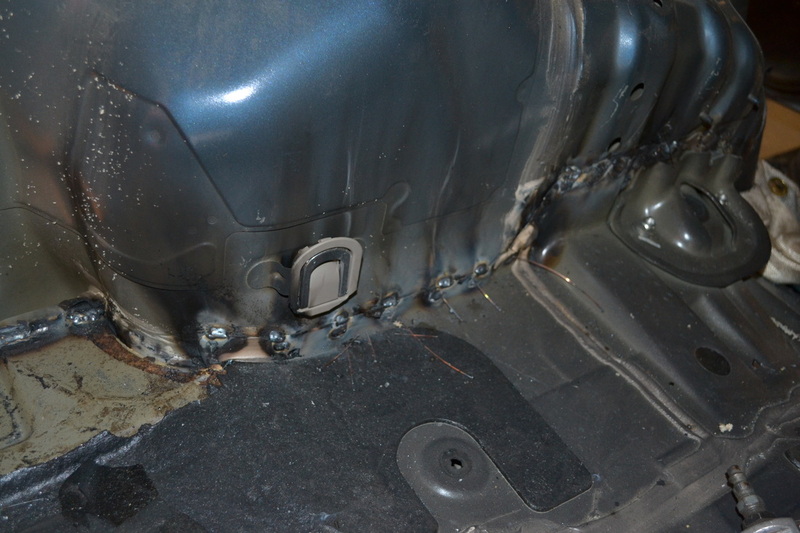 More weldment, around wheel well. All of this is finish painted to prevent corrosion ten years hence. 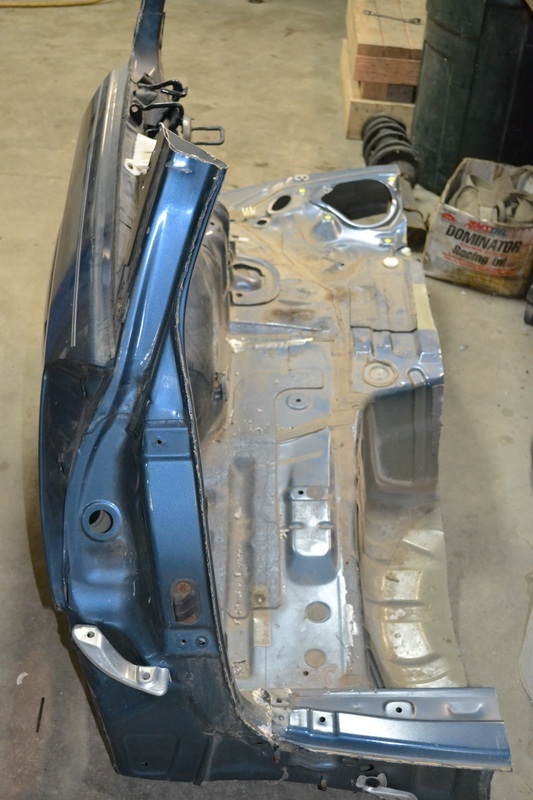 Checking the fit of the 'new' quarter panel to the original passenger door. After a run through the paint booth, the colors are the same. 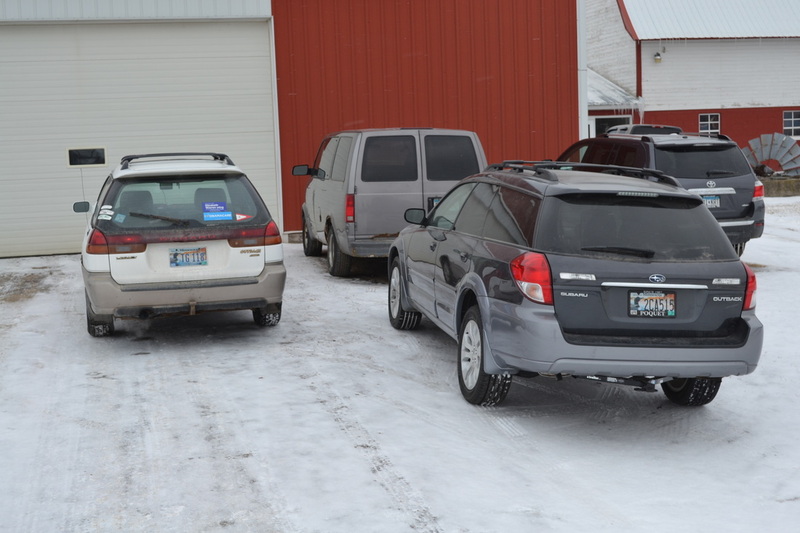 Just for fun: on the left, Willie's old 1998 Subaru Legacy Outback Limited 30th Anniversary Edition, with 300,000 miles on it. 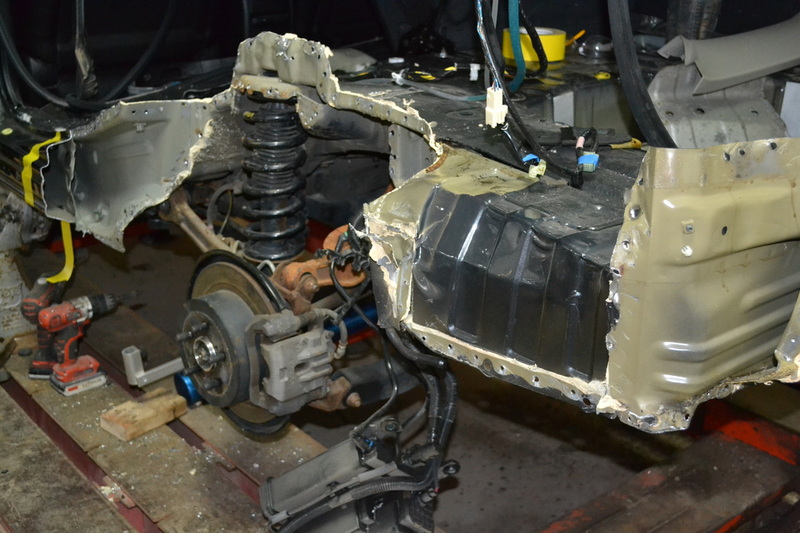 On the left, the 'new' 2009 Subaru 2.5i Limited with 50,000 miles, ready to start its second life. Both vehicles have the 2.5 liter engine. 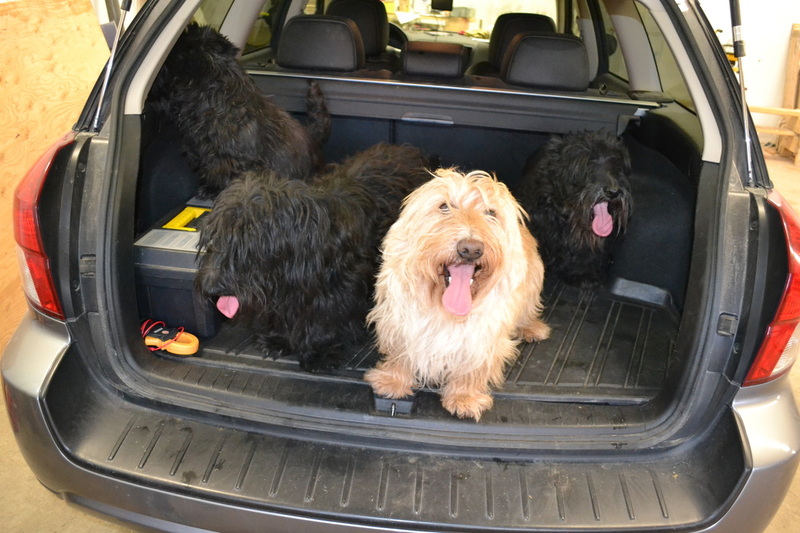 The Scottie dogs give the new Subaru a big thumbs up on their first outing.